After an unfortunately delayed flight (thanks Easyjet) I arrived at the airport in Manchester and took the train into the city. I stored my luggage at the train station, took a map and ventured into the city. I was immediately pleasantly surprised. 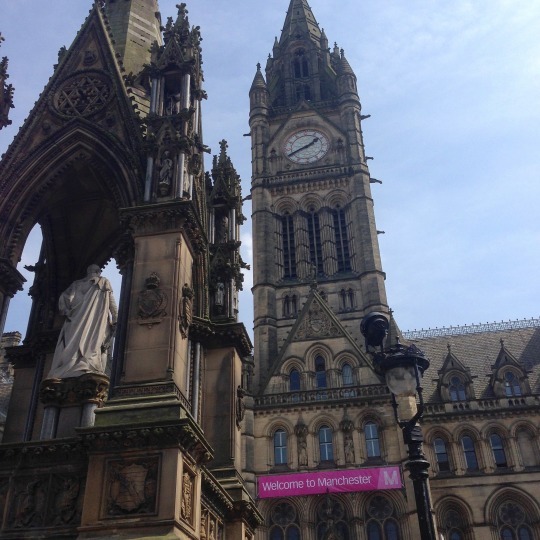 Not only was the weather lovely, Manchester turned out to be beautiful and lively. I was warmly welcomed (see below). Unfortunately, the Town Hall was closed for some kind of function, but as you can see, the outside is already stunning. I also loved the public library next to it, and not just for the free Wi-Fi and bathrooms, the top floor gives you a lovely view and especially the entrance is gorgeous. 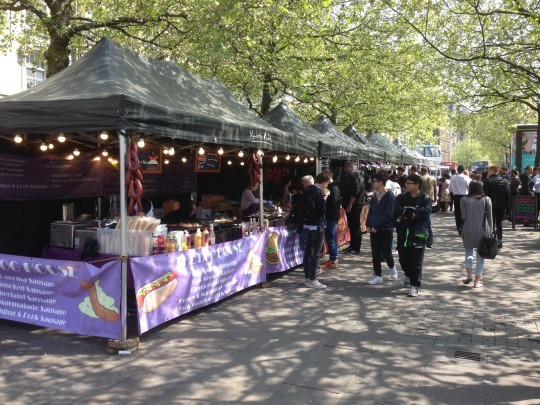 I was getting pretty hungry (JK I am always hungry), so I decided to get a bite to eat from this cool little food market at the Piccadilly Gardens. I ate my delicious veggie masala wrap, relaxing in the grass. Since the weather was so nice it seemed like everyone had come out to soak up the sun. The atmosphere was really chill and fun. Time to move again, this time I decided to be a bit more deliberate and pick a route that would take me past all the highlights. 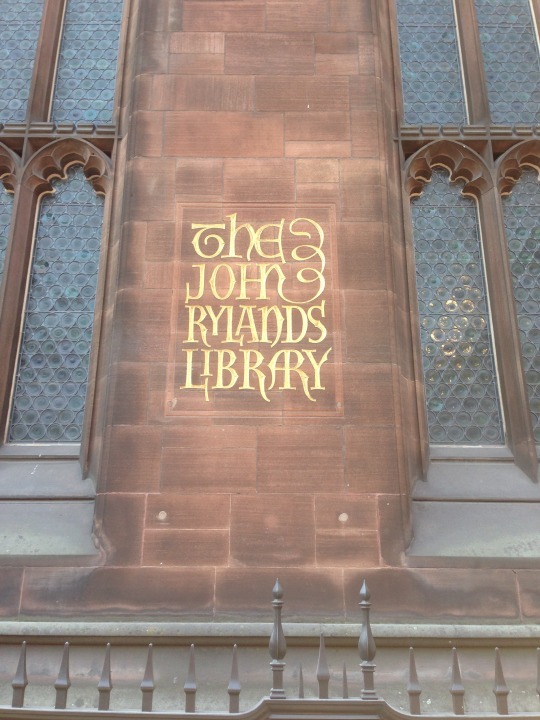 One of the can’t miss stops in Manchester is the John Rylands Library. And with good reason as it is absolutely stunning! Especially the reading room on the top floor, although I highly recommend checking out the old bathrooms in the cellar. A bit creepy, but also very cool. I took a quick stroll around the student district and the Gay Village to take in the young, hip side of Manchester as well. After picking up my luggage and stopping at Greggs to get some dinner to eat on the train, I made my way to Victoria station. There I got on my train to Newcastle, next stop on this UK trip. The thing I loved most about Manchester is its cool vibe, it strongly reminded me of Brooklyn, both in look and feel. It has a mix of impressive old buildings (such as John Rylands library and Town Hall) as well as industrial brownstones and hyper-modern architecture. There were a lot of street performers and the food market where I had lunch gave it a festival atmosphere. 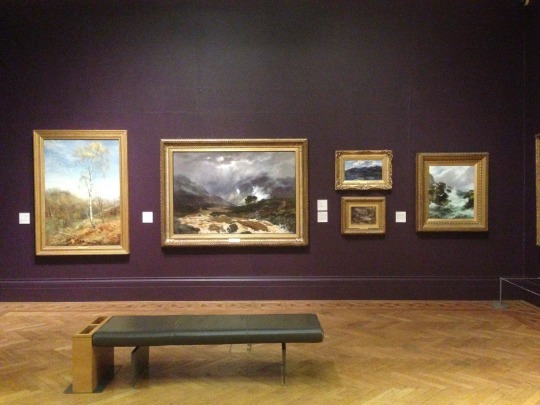 Manchester has a hip, young, artsy feel and I will definitely go back sometime to explore it further. I would strongly recommend this city to anyone looking for a nice weekend trip, a bit more off the beaten track.